Does Soy Belong in the Big Eight? The Big Eight refers to the eight foods that are responsible for approximately 90% of all food allergies in the United States.1 As a result of soy being included in this group, products containing soy have to indicate so on the product label. This regulatory requirement certainly makes it easier for people allergic to soy protein to avoid soy protein-containing products. However, the Big Eight is to a large extent, an arbitrary classification. The Big Eight could have just as easily been the Big Seven or the Big Nine. To this point, in Europe, there is the Big 14. Foods in the Big Eight aren’t equally allergenic and in all likelihood, if the Big Eight were reduced to the Big Seven, soy protein wouldn’t make the cut. In 2011, Gupta et al.2 reported the results of a randomized cross-sectional survey involving 38,480 U.S. children that examined the prevalence of food allergy. The survey was administered electronically to a representative sample of U.S. households with children from June 2009 to February 2010. Eligible participants included adults (aged 18 years or older) able to complete the survey in Spanish or English who resided in a household with at least 1 child younger than 18 years. Eight percent of the children reported having a food allergy. 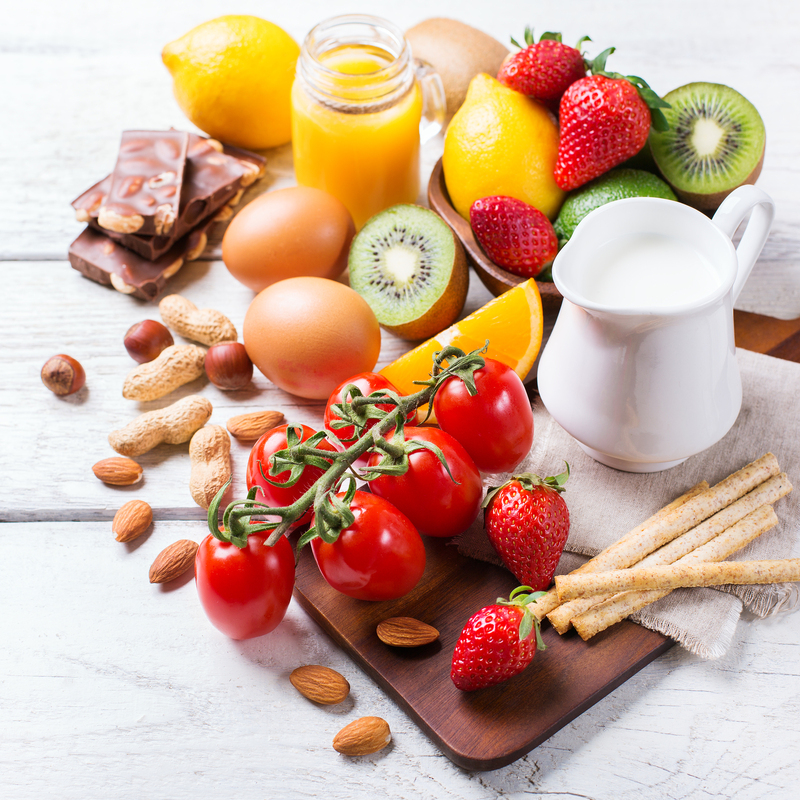 In order of highest to lowest prevalence expressed as a percentage of the participants, the survey found the following: peanut (2.0), milk (1.7), shellfish (1.4), tree nut (1.0), egg (0.8), fin fish (0.5), strawberry (0.4), wheat (0.4) and soy (0.4). Thus, the prevalence of allergy to peanuts and milk were approximately 5 and 4 times greater respectively than the allergy to soy protein. Furthermore, the prevalence of strawberry allergy was similar to soy protein even though strawberries aren’t one of the Big Eight foods and are very commonly consumed. In some ways, the differences in prevalence among the foods in the Big Eight becomes even more apparent when limiting the above survey to children with food allergies (n=3339). In this case the survey found the prevalence of allergic reactions to foods to be: peanut (25.2%), milk (21.1%), shellfish (17.2%), tree nut (13.1%), egg (9.8%), fin fish (6.2%), strawberry (5.3%), wheat (5.0%) and soy (4.6%). Thus, among the food-allergic children, strawberry allergy was more common than allergy to soy protein. In comparison to the results in children, the prevalence of food allergy among adults to the Big Eight foods shows to an even greater extent why a legitimate question can be raised about the value of including soy protein in this group.3 Of the total sample of 4,447 adults included in a 2001 survey, 5.3% reported a doctor-diagnosed food allergy. The prevalence for the Big Eight foods were: milk/dairy (1.1%), fish (0.6%), tree nuts (0.4%), wheat/gluten (0.4%), eggs (0.3%), Crustaceans (0.3%), peanuts (0.3%) and soy (0.04%). Thus, allergic reactions to milk/dairy were 27.5-fold greater than reactions to soy protein and reactions to soy protein were only a little more than 10% as common as reactions to the foods (eggs and peanuts) with the next lowest prevalence. Another issue to consider is the possible cross-reactivity between soy and other food proteins. In simple terms, cross-reactivity occurs when the proteins in one food are similar to the proteins in another. This causes the immune system to view them in the same way with the result that an allergic response will occur to both foods. Although peanuts and soy are both legumes, and thus exists the potential for cross-reactivity, recent research shows that cross-reactivity between soy and peanuts is actually quite unusual. In fact, of the 64 children with peanut allergy established by a double-blind, placebo-controlled food challenge, only 2 (3%) reacted to soy protein.4 These results are similar to previously published results. In conclusion, while all agree that food allergy labeling regulations serve an important public health benefit, research suggests that because the prevalence of allergy to soy protein is so low, requiring products that contain soy protein to indicate so on the label may not be a benefit to the public because it may unnecessarily detour people from consuming soyfoods. Food Allergen Labeling and Consumer Protection Act of 2004 (FALCPA). Public Law 108-282, Title II. .
Gupta RS, Springston EE, Warrier MR, et al. The prevalence, severity, and distribution of childhood food allergy in the United States. Pediatrics. 2011;128(1):e9-17. Vierk KA, Koehler KM, Fein SB, et al. Prevalence of self-reported food allergy in American adults and use of food labels. J Allergy Clin Immunol. 2007;119(6):1504-10. Patel N, Vazquez-Ortiz M, Lindsley S, et al. Low frequency of soya allergy in peanut-allergic children: relevance to allergen labelling on medicines. Allergy. 2018. Vieths S, Reese G, Ballmer-Weber BK, et al. The serum bank of EuroPrevall – the prevalence, cost and basis of food allergy across Europe. Food Chem Toxicol. 2008;46 Suppl 10S12-4. PhD in Nutrition, Executive Director, Soy Nutrition Institute. Expert in soyfoods and isoflavones. Now that we knocked out the #soyfoods basics, it's time to get this show🌟 on the road! Which popular soyfood is up first??? HINT: Dry roasted, raw, steamed, chilled, or fresh, these soybeans are harvested when the beans are still green. Looking to lighten up for springtime🌷? Skip the fad and stick to the facts! Soy is low in fat, cholesterol free, and provides high-quality plant protein.